A short list of useful social media tools that will help you manage and organize your job search. This a guest post by Patrick Ambron. If you’d also like to guest post here on JobMob, follow these guest post guidelines. The job hunt can be overwhelming and scary, especially during a recession. If you can’t relate to that statement, you’ve either never had a job or you work for your dad. Between browsing for openings, researching companies, preparing for interviews, touching up your resume and networking, it often feels like there is too much to do and nowhere to start. So how do you maintain an edge? With your job search social media power belt. Keep up to date with industry trends and news. Find relevant blogs via AllTop and subscribe to them with your Google reader. Take time each day to browse through them then share them with your network. Subscribe to job search topics by keyword. Frankly, going out and finding valuable job search articles is a waste of time you don’t have. Instead, subscribe to keywords using Google Alerts in areas you need help. For example, you may want to aggregate articles related to interview tips, resume writing, cover letter writing, etc. Delicious is an extremely convenient job search tool and can act as a filter for all the information piling up in your Google Reader. Have an interview tomorrow? No problem, you have an entire library of interview tip articles. Need to target your resume? Simple, just browse through all the resume guides you’ve bookmarked. Google is now your first impression. 83% of employers Google potential applicants and almost half make decisions based on what they find. You need to create favorable results that showcase your talents in the best light possible. Blogs. There is no better way to establish your credibility in your field and show employers you are a thoughtful, continual learner. I’d recommend WordPress, TypePad or Blogger. Online/video resumes. Pick up where your paper resume left off. Online resumes can showcase portfolios, past work, presentations and endorsements. A video resume is also a personal and impressive touch. I recommend sites like VisualCv and LinkedIn. I’ve written about this topic extensively in the past. Twitter is a powerful networking and promotional tool. You can build credibility, build meaningful networks, and even find a job. Create a targeted, professional profile. Focus like a laser on building a profile that describes who you are and what you bring to the table. Include links and calls to action to your other professional profiles. Build a meaningful network. Follow major players in your industry using tools like Twellow, to interact with them and put yourself on their radar. Use twitter search to find conversations related to your field and start joining them. Establish yourself as an authority by adding value. Share and post interesting articles. Answer questions. Reply to industry experts. Retweet people in your network. Establish yourself as a thoughtful, contributing member in your field. Find new opportunities. Subscribe to job postings via character and location. Leverage your twitter network to let them know what you are looking for. According to a recent survey, 75% of job recruiters now use LinkedIn to research prospects. Translation: LinkedIn has the power to make or break your job chances. Paint a comprehensive, professional picture of yourself. Your profile is not just your resume posted online. It is a chance to show who you are, professionally and personally. Upload a head shot, add presentations and white papers, and post a few powerful recommendations. Build a meaningful, professional network. Search for people you have a connection with, through various affiliations: schools, companies, etc. Establish yourself as an authority. Join groups related to your industry. Answer questions, share insights, offer your help. Once again, establish yourself as a thoughtful, contributing member of your field. Find new opportunities. Once you have proven yourself to be a worthy member, your community and network will be willing to help you out. Let them know you are looking for something. Also use LinkedIn job search and find people in the company of interest. Find a mutual connection to introduce you two. It is important to note that these are tools not solutions. They do not replace traditional techniques, but they do extend them by making the process more efficient and easier to manage. Patrick Ambron is head of online/social media marketing strategy at brand-yourself.com, named one of the 100 most innovative college start-ups in the country. Along with brand-yourself, Patrick helps a handful of businesses devlop & implement their online strategies. Patrick is always interested in meeting smart and forward thinking individuals and you connect with at @pcambron or his personal blog www.patrickambron.com. This article is part of the 3rd Annual JobMob Guest Blogging Contest. If you want Patrick Ambron to win, share this article with your friends. If you enjoyed this article, you’ll also like 8 Creative Ways to Use Social Media for Your Job Search. 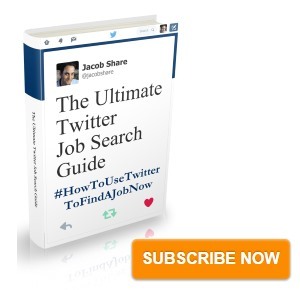 Subscribe to JobMob via RSS or email and follow me on Twitter for the best tips on using social media to find jobs. This is an amazing article for anyone looking to create a solid online presence. It really breaks down each aspect of how to use each service effectively. Nice compact post outlining the essentials of creating an online personal brand. Patrick Ambron hits the nail on the head! This is a very succinct article that does an excellent job summarizing the tools available online for your job search. Very well organized! On the note of networking with related professionals in the industry and establishing yourself as an expert, I think it can be done a lot quicker than most think. Credibility can be earned simply through one’s passion and yearning to find the answers. Answer people’s questions and become a resource for others, and you’ll be on the fastrack to realizing your job search. Solid Basics. I see a good deal of these posts detailing the basic strategies of the search with the social network channels. I would like to see more depth and specific strategies for leveraging those platforms that turn job seekers into employees. You can go to job sites like simplyhired to look up job descriptions when writing a cover letter. 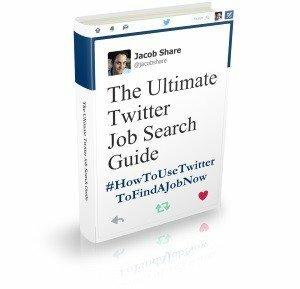 RT @EliteTechJobs 5 Social Media Tools To Find A Job http://twitthis.com/yg6ynl But will they work for #engineers? I believe that LinkedIn is one of the best Social Media Sites for Job Hunting because it is more focused and relevant than either Facebook or even Twitter. .-= Kingsley Tagbo´s last blog ..NFL Stifling Social Media? =-.